Yorkville Modern Suite Request Form. We will contact your shortly to confirm your details! 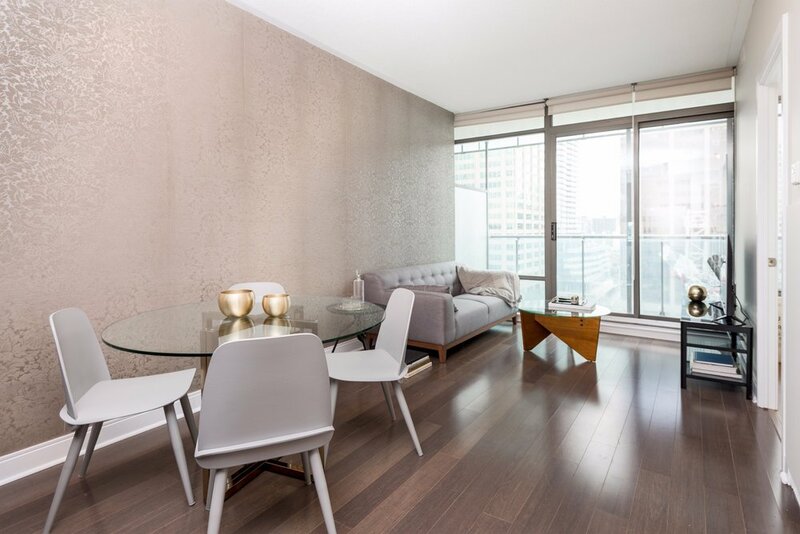 This is a stunning 1 Bedroom, 1 Bathroom Yorkville furnished apartment, in the best part of central Yorkville. One of our most elegant furnished short term rentals in Toronto, the Yorkville Modern Suite is a peaceful and calm furnished apartment located beside the new Former Four Season Hotel, in the best part of Yorkville. This is the most lively and walkable area of downtown Toronto near the city’s top boutiques, restaurants and cafes all within a 5-minute walk. Enjoy all the luxury amenities in the vicinity, including the newly built Equinox Gym, Whole Foods Market, Nespresso Cafe, Holt Renfrew, Club Monaco, Indigo Bookstore, etc. This suite is part of our exclusive Yorkville Furnished Apartments Toronto Collection. 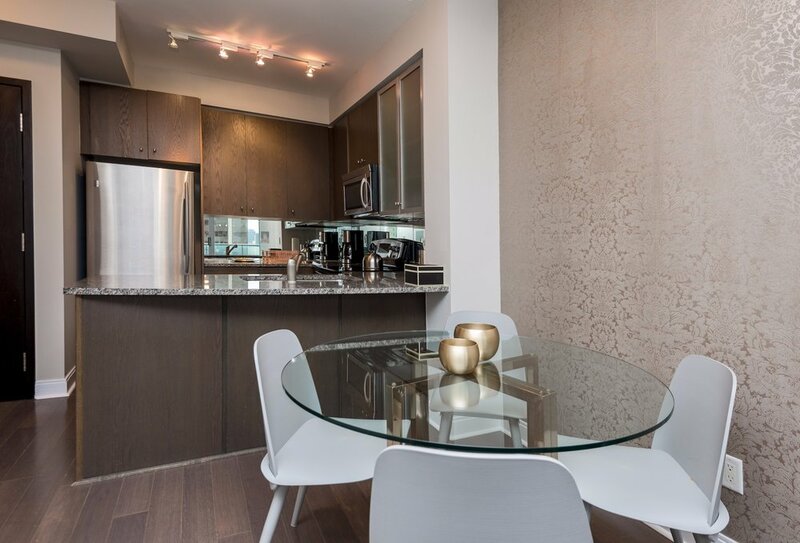 The Yorkville Modern Suite is a large 1 bedroom suite at 650 square feet with a lot of natural light. It is a fully-furnished condo with an impressive open concept floor plan, 8 foot ceilings, sleek charcoal hardwood floors in every room, large windows that run alongside the entire flat providing every room with ample natural light. It has been furnished by a professional interior designer with modern premium brand pieces for a minimal and serene feel. The building provides excellent services with a 24 hour concierge and security services. All services are included for The Scollard Boutique Furnished Condo: Utilities, Hydro, WIFI Internet, Cable TV Package, and Storage Locker. If you have any questions about our furnished apartments, please contact us at info@torontoboutiqueapartments.com or call us at 647-715-2102 or toll free 1-800-257-9483. View our other suites for more options.